Do you want to know what type of dress or garment goes well with the Aulora Kodenshi slimming leggings / pants? 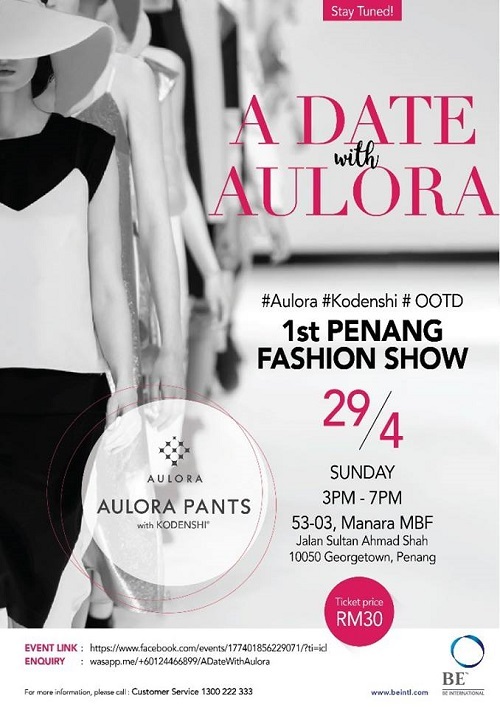 Now you can learn the latest fashion trend with the first Aulora Kodenshi Fashion Show in Penang. The “A Date with Aulora” show is organised by BE International Marketing, the importer of the Kodenshi pants. The following are the details of the fashion show. Venue: 53-03, Menara MBF, Jalan Sultan Ahmad Shah, 10050 Georgetown, Penang. If you are a fan of fashion or a fan of the Kodenshi pants, remember to schedule some time and head over to the show.